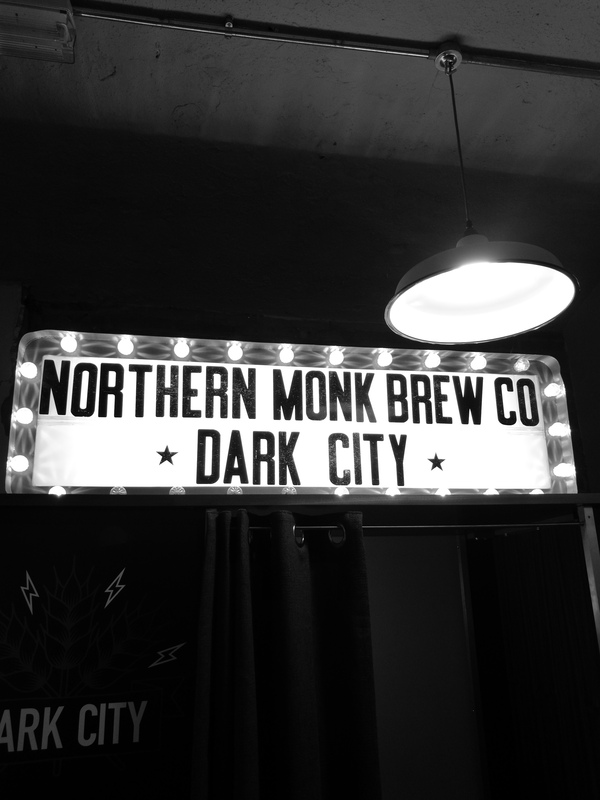 This weekend saw our neighbours Northern Monk hosting their annual celebration of all things dark and decadent – Dark City. 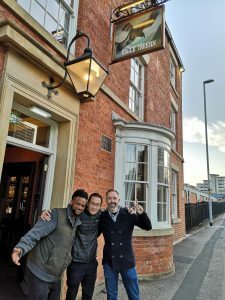 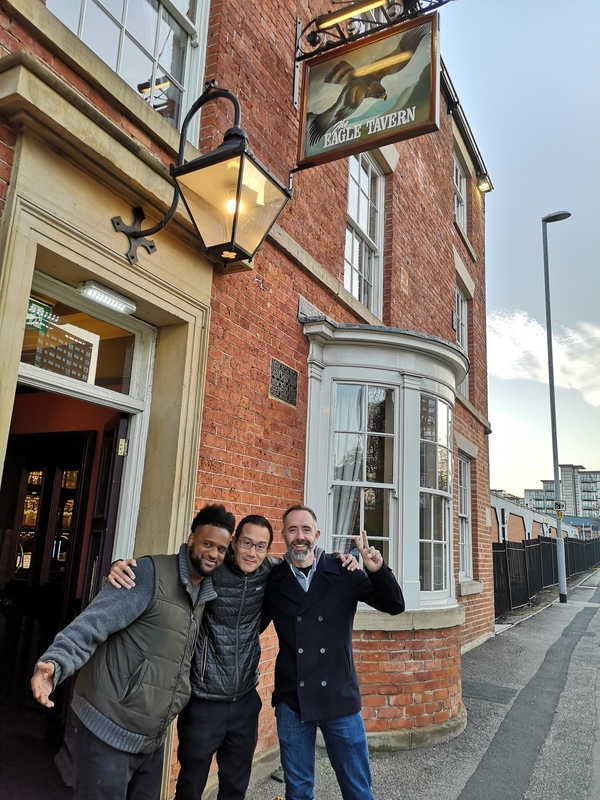 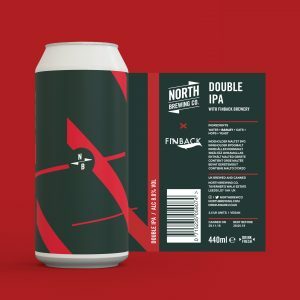 Leeds was full of great brewers for the week, and we jumped at the opportunity to host Brooklyn’s Finback brewery and Norway’s Amundsen Brewery for two collabs. 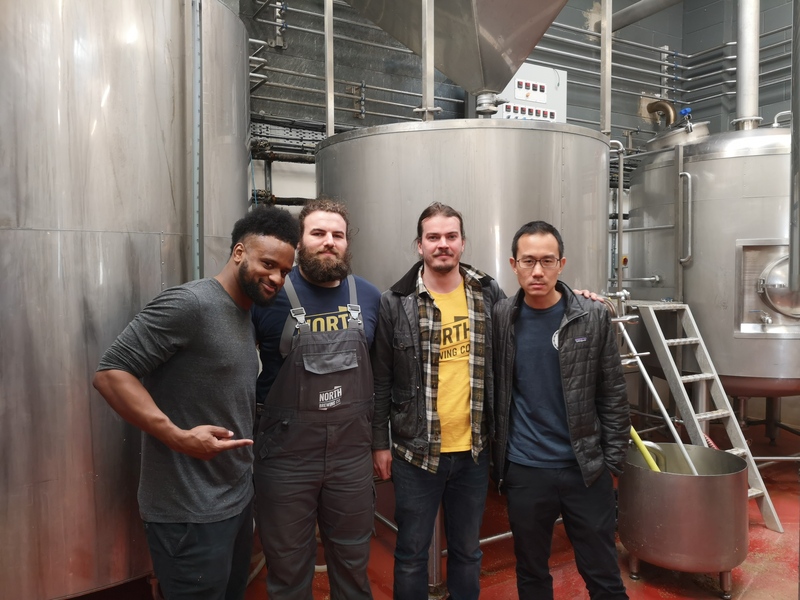 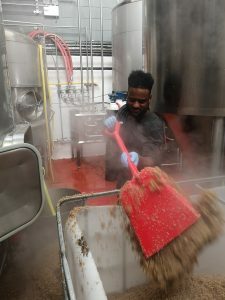 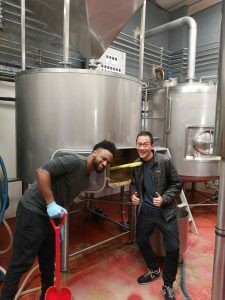 On Thursday we brewed a DIPA with Anthony and Basil from Finback, took them for lunch at The Reliance, and snuck in a pint at The Eagle before heading to their tap takeover at Bundobust. The night ended up in North Bar for their Siren tap takeover (and a tequila verdita or two). 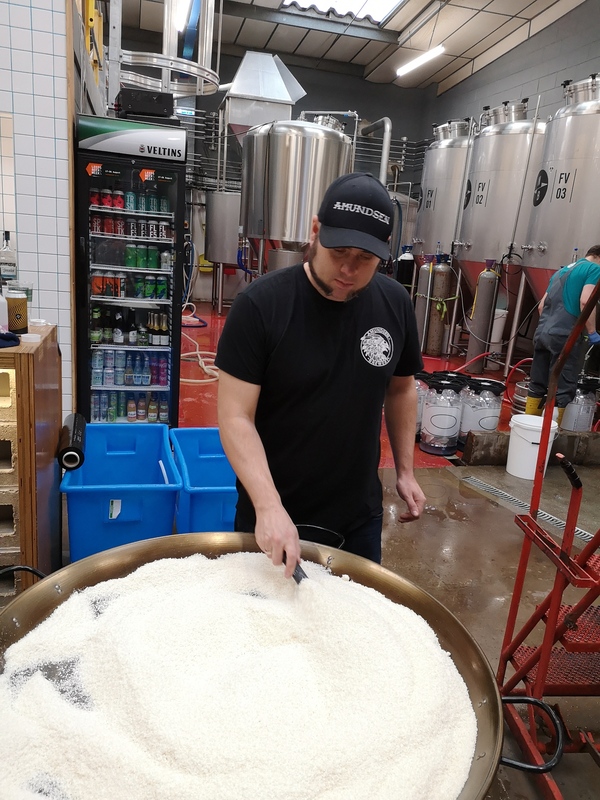 On Friday we got out the paella pan and put Matt from Amundsen in charge of toasting a mammoth batch of coconut for a Coconut IPA. 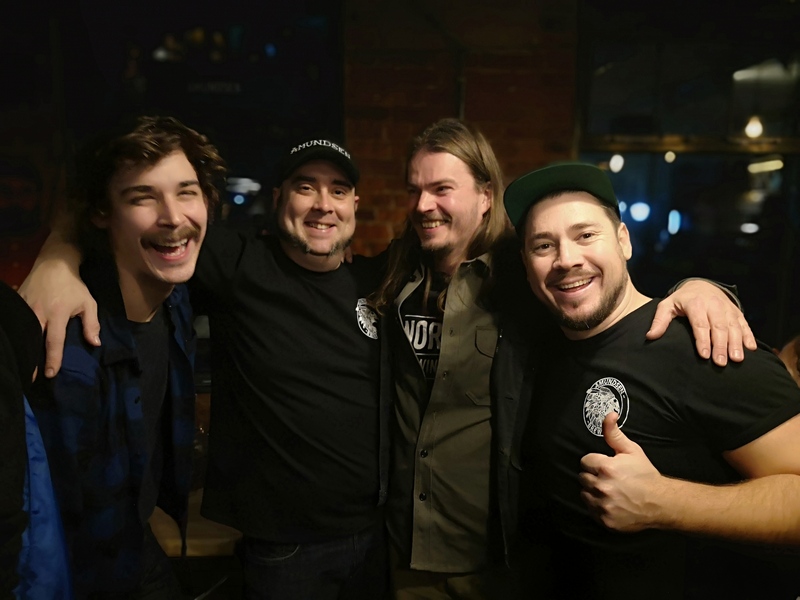 We then headed over to Northern Monk for the first session of Dark City where we were pouring our Baltic Porter, Small Stout and Peanut Butter Milk Stout. 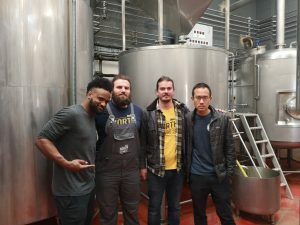 Watch out for the release of the two collabs in early December. 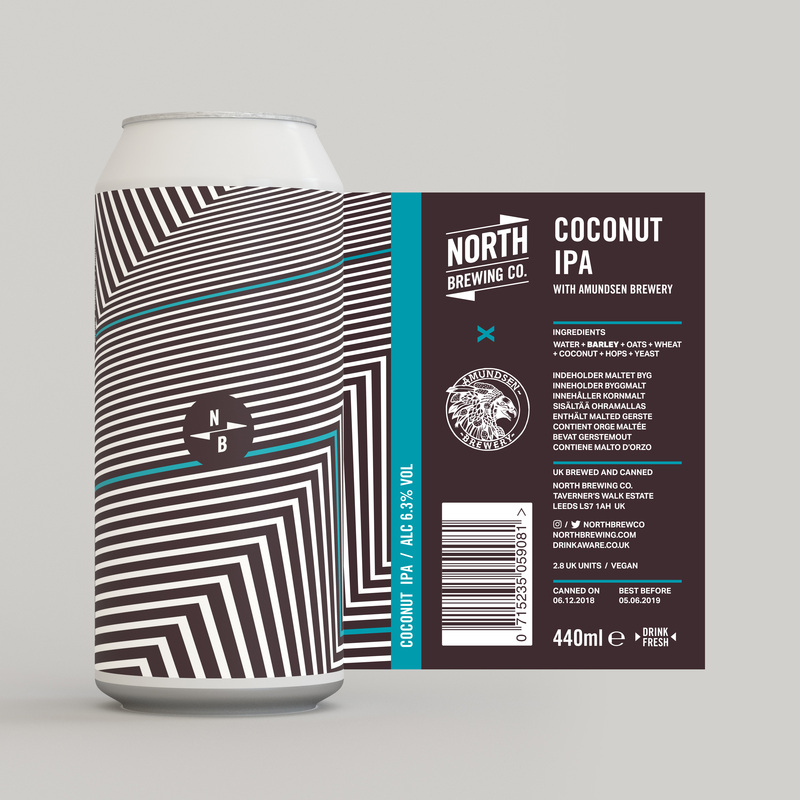 Stone cold can designs by James Ockleford at Refold.